It’s no understatement to say that we love camping. Our children have been camping from an early age. A very early age. So why do we enjoy taking our family camping so much? Well, just having a week or two away with the family once a year isn’t enough. We plan lots of mini-breaks through out the year, even if it’s just during weekends. 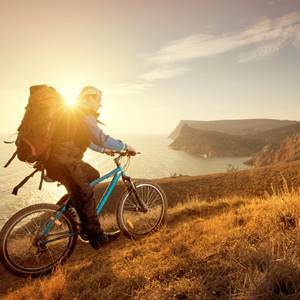 Once you’ve invested in the camping gear, which you can do over time, then camping is an affordable way to explore different parts of the country. You can take your family to places and see things that many others miss. We’ve seen the sky filled with an unimaginable amount of stars. You just wouldn't believe it unless you see it for yourself. We’ve camped in woodland surrounded by hooting owls. We’ve camped by lakes, beaches, in the mountains, and in countryside so picturesque that it almost looks unreal. Your family tent becomes your home wherever you decide to place it. It can be a beach house one week and a cabin in the woods or by a lake the next. Camping is also fun. For smaller kids it’s a real adventure. Here's a number of tips for a good family camping trip. Everyone loves camping in the sunny summer weather….but this is the UK, right? Be prepared with extra layers for everyone. If you are camping in colder weather, merino wool base layers are great, and can be slept in to keep warm through the night. Avoid sleeping bags that are too cheap. Thin summer bags are not great. You want at least a 2 Season sleeping bag to be comfortable for most of late Spring and Summer. When it is cold, you will want to take some extra blankets from home. However, unlike home, don’t put these on top of your sleeping bags. Place them underneath. You lose a lot of heat through the cold ground. If you insulate underneath people’s beds they will be much warmer through the night. As we all know, even when the weather forecast is for a dry weekend, it can soon turn to rain. Unless you are unlucky, your tent should keep you dry, but being stuck inside your tent is no fun at all. Get a camping tarp kit and learn how to use it. With a tarp you can create a shelter outside of your tent for you to cook, eat, play, and chat under. We’ve been to many a campsite where everyone was shut up in their little tents as the rain came down, but we were still able to sit outside, have a small campfire, and get on with stuff without the rain bothering us. A tarp is also useful if you have to pack up when it rains as you can use it to make a shelter from the door of your tent straight to the boot of your car. Research the area you are visiting before you go. Look for indoor and outdoor activities, days out, or walks near by. Particularly important for those wet days, it's always good to have a secret weapon up your sleeve. Take some activities with you to keep the kids busy for when the weather is bad or you need the kids to occupy themselves while you get on with a few jobs. Card games are a good idea and travel games that don’t take up much space in the bags! When the kids were very young we used to take some simple crafts activities with us. Boxes that come with the all bits in it are ideal. Setting up camp can take a while. Of course this depends how much gear you take and the kind of tent you have. But you need to allow a bit of time to see up camp. Don’t arrive too late at the campsite; pitching a tent in the dark is no fun at all for mum, dad, and the kids. Pitching a tent in the dark when you are tired can easily lead to costly mistakes. 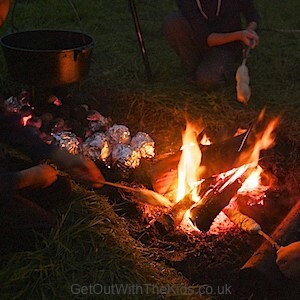 When we are camping we often take a meal prepared at home for the first night. For example, a chilli or pasta dish that we can just reheat at the campsite on the stove. Remember when camping that everything takes longer to do! From making a cup of tea to getting ready for bed! So you need to allow extra time when planning your day. This is particularly important when washing up after a meal. You don’t want to be doing it in the dark! (Not all campsites have lit wash up areas) When camping for us, the routine goes out the window and we enjoy living by natures clock. It ’s time to relax and live wild! Choose where you pitch your tent wisely! We have learnt this from past experiences. One of our first camps we pitched on slooping ground and consequently spent all night rolling down the slope! When we arrive at a campsite, when you are not allocated a pitch, we always take time to have a quick around the site to choose the perfect spot for us! Here are a few pointers to consider. Do you want to be near the facilities? Are you looking for a pitch to get away from it all? Is the ground level and suitable for your tent? 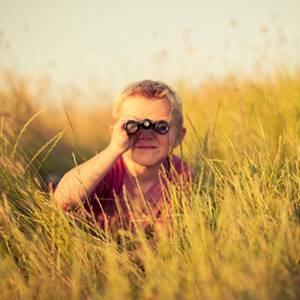 If there is a playground, do you want to be near it so you can keep an eye on the kids? (Though they can be noisy places to camp particularly in the evening when groups of kids and teenagers tend to congregate) How exposed to the elements is the spot? Are there any natural barriers ( i.e. hedges ) that you can use to act as a wind break? We usually take glow sticks with us. They not only make it easier to locate your children in the dark, you can play games with them. Try throwing the bracelet glow-sticks over a stick. Be realistic and not have too high expectations. Not all camping experiences are successful, which can sometimes be the case when the weather lets you down. If you do have a bad experience, don't let it put you off. Even these can make great memories. With a bit of preparation and planning you'll soon be back outside with the tent enjoying all the pleasures that camping has to offer. You can never have too many torches! Always take more torches than you think you’ll need. We generally light up our tent with a few lanterns, then hand held torches for individuals and trips to the bathroom. If you’ve got very little ones you’ll need lots of light for reassurance. It makes the tent feel cosy and homely too! A practice pitch in the garden is a good idea, particularly if it’s a new tent. You want to make sure nothing is missing and any pitching problems are ironed out. Knowing how the tent goes together takes off the pressure at the campsite ( especially with fellow campers looking on!! ) And makes for a quicker pitch, so more time to relax and enjoy your camping adventure. When you are camping you’ll find that you are in and out of the tent all the time. Particularly so with children. We try to keep the inside of the tent clean ( it doesn’t always work! ). Shoes that slip on and off easily make this a lot easier for everyone. Our kids like wearing Crocs and these work really well. 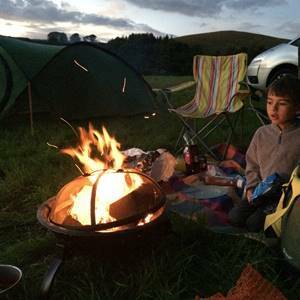 Plan your next family camping holiday with our campsite finder. Alternatively, find a rental or dealer.